New Delhi [India], Mar 6 (ANI): Three districts of Jharkhand - Chatra, Sahibganj and Hazaribagh – have topped NITI Aayog’s list of ‘Aspirational Districts’ for December 2018 – January 2019 period. New Delhi [India], Feb 1 (ANI): Terming the interim budget as progressive and positive, NITI Aayog CEO Amitabh Kant on Friday said the government's "pathbreaking" budget has provided a narrative of India's continued development growth. New Delhi [India], Jan 14 (Xinhua/ANI): The Indian government released a five-year plan to reduce the air pollution in the 102 worst-affected cities in the country by 20-30 percent by 2024. New Delhi (India), Jan 7 (ANI): The National Stock Exchange of India Ltd. (NSE) on Monday signed a Statement of Interest (SoI) with National Institution for Transforming India ( NITI) Aayog. New Delhi [India], Dec 12 (ANI): As legendary actor Rajinikanth turned 68 today, his friends and fellow celebrities came in unison to extend their warm wishes on his special day. New Delhi (India), November 3 (ANI): India must come up with a strong privacy law and allow the private sector to implement more innovation, NITI Aayog CEO Amitabh Kant said on Saturday. 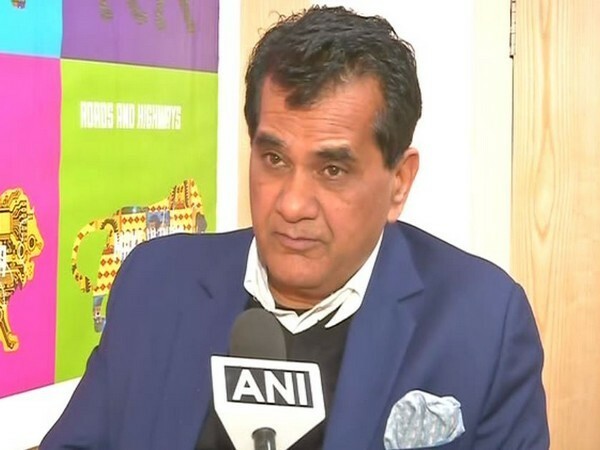 New Delhi [India] Oct 31 (ANI): India needs to spend around USD 4.5 trillion till 2040 to develop infrastructure in order to improve economic activity, Niti Aayog CEO Amitabh Kant said on Wednesday. New Delhi [India], Sept 26 (ANI): Hours after the Supreme Court upheld the constitutional validity of Aadhaar, NITI Aayog CEO Amitabh Kant on Wednesday termed the verdict as a good and progressive judgment.